The Black Bottom T-shirt from GSS safety is ideal for those super hot summer days. Made from a lightweight, breakable & moisture-wicking polyester mesh fabric, it features a birds-eye knit for added strength. 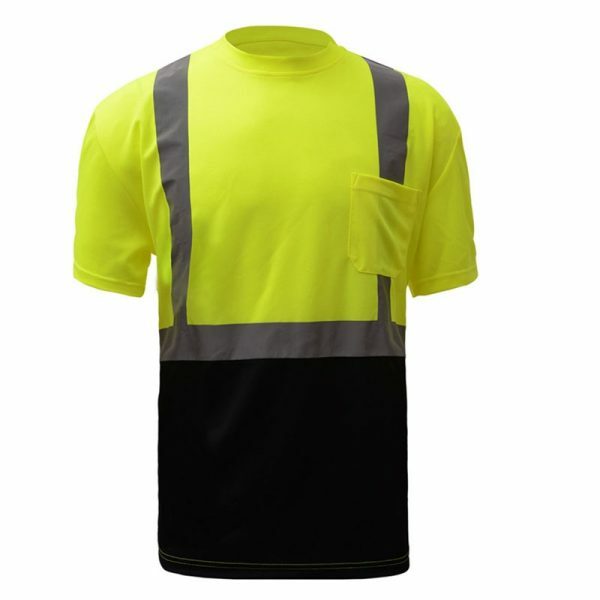 As an ANSI Class 2 garment, the high visibility t-shirt is equipped with 2-inch reflective striping to ensure better visibility in low-light conditions.The unique black bottom design of these shirts provides a more stylish appearance that helps to mask dirt, grease and grime in high-contact areas. It features a single pocket on the front left chest area for simple storage.